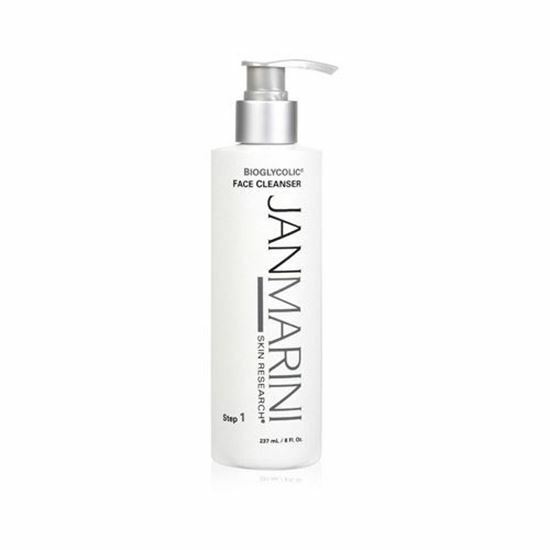 Jan Marini Bioglycolic Face Cleanseris a gentle cleanser suitable for all skin types. Soap free, non-irritating, and rinses completely without the need for a post-cleansing toner or astringent. Jan Marini Bioglycolic Face Cleanser with glycolic acid is a gentle cleanser suitable for all skin types. This deep cleansing formula is soap free, non-irritating, and rinses completely without the need for a post-cleansing toner or astringent. This product also contains sorbitol, a natural humectant derived from berries that leaves the skin soft and hydrated.